After 11 weeks of what has surely been the most entertaining Apprentice thus far, this is what it was all for, a £250,000 investment into a candidates business idea. The final task for the last two candidate’s left standing, saw Mark and Bianca launch their proposed business ideas with the help of previous candidates. Each team had to create a brand, research the market, make a promotional film and unveil their campaign to an audience of market leaders and associates. Bianca’s chosen business was a range of skin coloured tights that match your skin tone, while Mark’s was an online agency that helps SME’s rank higher on a search engine. We were taken back to a PE lesson when Mark and Bianca were allowed to choose which of the previous candidates they would like on their team. Poor old Sarah was left till last and joined Mark’s team along with Solomon, Sanjay and James, while Bianca chose Katie, Lauren, Daniel and Filipe. Mark and Bianca had very different managerial approaches; from the offset Mark was motivational, diplomatic and showed gratitude. Whereas Bianca wanted to do everything herself, she failed to listen to any feedback and had her sub-team driving around London doing menial tasks that she didn’t want to do herself. However, what it was all going to come down to was the actual business idea and whether Lord Sugar thought it was going to be profitable and that all became clear in the detail. Mark’s idea, although it would be a tiny fish in a huge pond, had a USP of himself and a more personalised service to what is already out there, while Bianca’s, although people had expressed that there was definitely a gap in the market was all a bit unrealistic! What she wanted would involve a range of 240 plus tights and the price she had in mind would mean that these tights would be kept in a warehouse for a very long time! I think that what it all boiled down to for Lord Sugar was the level of risk involved in investing in each business idea. As mentioned by Nick, Lord Sugar has always been a product sort of man, but the thought of a £250,000 investment into tights which were likely to be held up in a warehouse somewhere didn’t quite tickle his fancy. 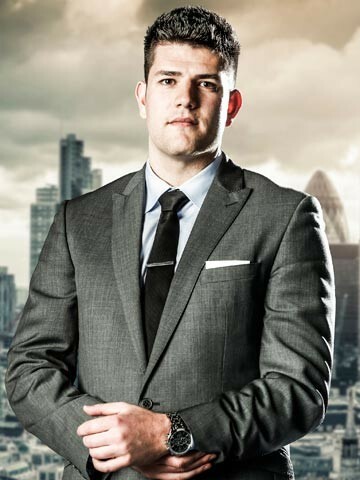 So Mark, with what is probably the worst record in Apprentice history! Won. We can’t wait till Velocity Virtual gets a call from ‘Climb Online’ offering a personalised service to rank us higher on Google! This entry was posted in Blog on 12th January 2015 by Julie Tucker.